Baptism: Those wishing to be baptized or have their child baptized into the church are asked to contact the office no later than two months prior to make arrangements. Parents need not be members of the church to have a child baptized, but a commitment to two months participation in the spiritual life of the parish with the child and future commitment to spiritual duties is required. Confirmation: Confirmation is the completion of baptism. Any youth age 13 and above or any adult not baptized should contact the clergy. 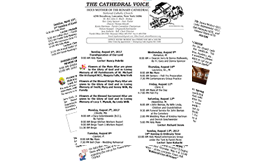 The youth participate in a catechesis of two school years in preparation. 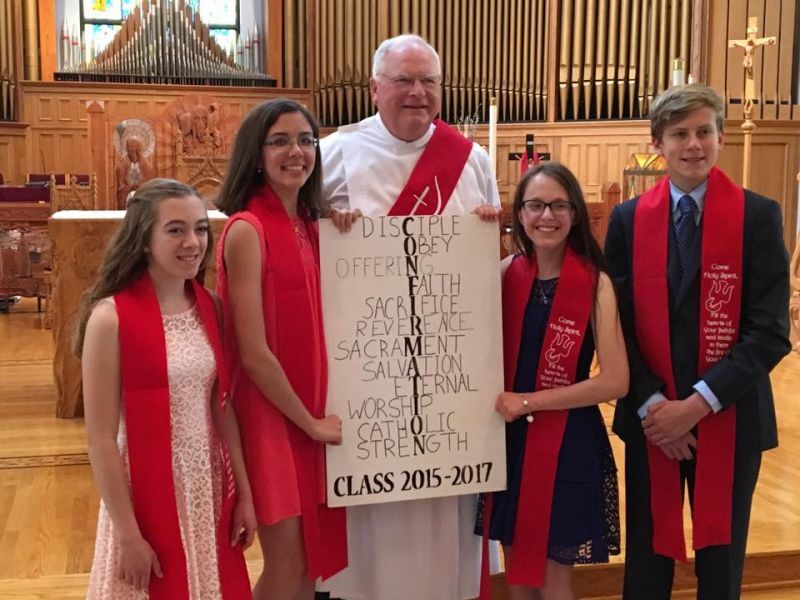 They are required to attend Sunday mass and School of Christian Living on a regular basis and fulfill parish and community commitments as part of their formation. 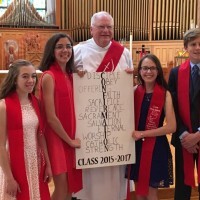 Confirmation is held every other year, thus classes begin at the same interval. The bishop administers confirmation. The Word of God: The Sacrament of the Word of God (homily) preached and heard is a sacrament in the PNCC. This is a unique aspect of our Catholic denomination. Penance (reconciliation): The sacrament of penance is the means by which we atone with a contrite heart for the sins we have committed against God and our neighbor. We practice two forms of penance. Private confession is required for youth up to the age of 16 years old and to anyone beyond that age who seeks it. General confession is offered at the beginning of every mass. After making an examination of conscience and having true contrition, the laity confess their sins to God, a penance is assigned by the priest and absolution is given. We offer a short penitential rite prior to mass (10 minutes) every first Sunday of the month and have a more thorough Penitential Service during the seasons of Advent and Lent. Holy Eucharist (Communion): Holy Communion is administered under two forms: The consecrated bread and wine which is the body and blood of Jesus Christ. The Eucharist is given by intinction which means the Sacred Host is dipped in the Consecrate Blood and placed on the tongue. Baptized Christians who believe in the real presence of Christ are welcome to receive. Holy Unction (anointing of the sick): This is the sacrament of faith for those who are sick. It is an anointing for illness and should be given to anyone seriously ill, in danger of death from sickness or old age and prior to surgery. It provides restoration of body, soul and spirit. As with all hospital visits or sicknesses, the clergy should be notified immediately. Matrimony: The sacrament is administered to a man and woman who have been prepared to enter into marriage. Church membership of no less than 6 months is required. Spiritual and financial commitment to the parish must be fulfilled prior to marriage. Pre-Cana preparation is arranged by the pastor with the couple. Anyone previously married and divorced must seek an annulment through the church. Notification of the date should be done at least a year in advance.